My first book has been an exciting time for me. Both confidence-building and humbling at the same time. It has been a true honor and blessing. I still find myself surprised, and even somewhat shocked, that people even want to read my book, a book that relays some stories over the past year as well as the journey that has brought me to this point in my life. 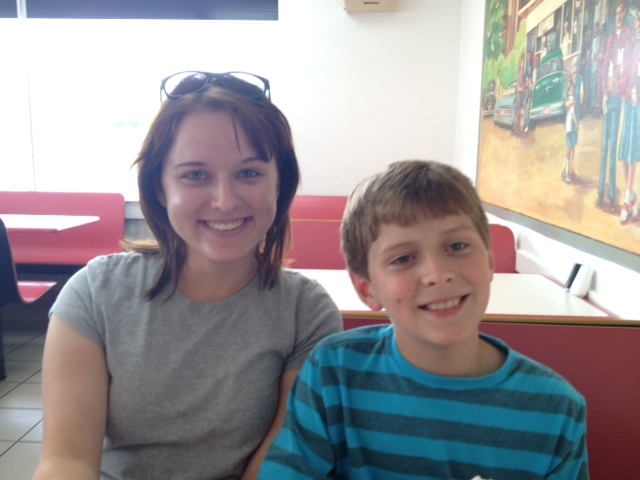 My kids have been hugely inspirational both in my writing and my life. But I’m even more surprised that people want me to sign their books for them. Not only do I appreciate the request, but I feel very humbled at the same time. And, as a writer and speaker, words fail me. It’s the first time that I can remember not know what to say. But that runs just a tad on the wordy side. I do, however, want to thank people for the unique roles they have played in helping me in my life. But again, how I can say that in just a few words? How, in just a few words, do I tell my mom or mother-in-law thank you for all the help and support over the years. Or my sister, or other family members. In the past few weeks, I’ve heard from former neighbors, and my few short words written in the front of their book falls way short of thanking them for helping me survive a terrible time in my life. Colleagues at work think I’ve done something special. Only they don’t realize that they’re the ones who have done something special in helping me stay optimistic and focused on the good things in my life. I’ve heard from friends and people I knew while I was in high school. How do I put into words the thanks I felt when that person helped me through a difficult time, and probably didn’t even know he was doing it. How do I thank my publisher, Raburn Publilshing? And friends from church, and friends from town have been both encouraging and supportive How do I thank them all? And the list goes on . . . When words are your life – either in front of a classroom, in an ad, or on a printed (or web) page – it’s a helpless feeling when you don’t know what to say. There are so many people to thank, people who have helped me get where I am today. People who have helped at times when I needed it most – even though they didn’t know it. And how do I thank my kids. My son and my daughter obviously didn’t buy a book (not at full price, anyway – I gave them each a nice discount), but they have helped me each and everyday to remember what’s important in life. I just want to thank each of you for the help and support over the years. And I look forward to the journey that lies ahead.